Christopher Homes Realty team of agents, headed by Mark, is a dominate force in the Las Vegas Valley’s high-end real estate market, successfully negotiating over $500 million dollars in transactions. Comprised of five agents whohave over 72 years of combined experience, the Christopher Homes Realty team works closely with buyers and sellers offering the highest level of assistance and expertise. The Christopher Homes Realty team’s intimate knowledge of the Southern Nevadan real estate market and luxury neighborhoods provides an invaluable resource that exceeds any expectations. Whether buying or selling, the Christopher Homes Realty team is ready and willing to assist clients with the highest level of service. To learn more about the ways the Christopher Homes Realty team can help with your real estate goals, contact us to set up an appointment. Mark has spent the majority ofhis entire career working in the high-end luxury market.Principal, luxury real estate broker and Las Vegas native, his extensive experience and market proficiency provides unparalleled value for luxury buyers in the Las Vegas Valley. A consistent top performer, Mark has handled a half a billion dollars in real estate transactions during his career. His broad knowledge of luxury homes, from custom building to selling, offer clientele an advantage unique to the industry. He specializes in serving buyers and sellers in the high-end residential real estate market as well as selective commercial and investment properties. While attending Arizona State University, he acquired his licensure in Arizona and built a solid clientele selling residential and multi-family properties. Returning home in early 90’s, he acquired his real estate licensure while working full time at Christopher Homes, a premiere luxury home builder. Working in almost every division of Christopher Homes, he eventually served as Vice President of the Custom Home Division. 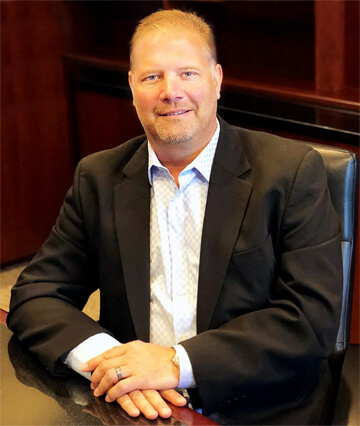 He started as an onsite sales agent and worked his way up the ranks to become Director of Forward Planning, Director of Customer Service, Director of the Custom Home Division and ultimately Vice President of Custom Home Division. Mark is a dedicated family man married to his wife for thirteen years. The couple have three children, whom they enjoy spending time traveling, boating and golfing. Southern California and Flathead Lake in Montana are two of their favorite destinations. At Christopher Homes Realty you’re not a number, you’re part of our family. We only work with select Buyer’s and Seller’s and truly get to know our clients, and we’re proud that we are largely referral based. We understand luxury buyers and we know the high-end market… our track record and testimonials speak for themselves. Contact us today to discuss your goals and visions and how we can help you achieve them.